The High Level path meanders below the crags. 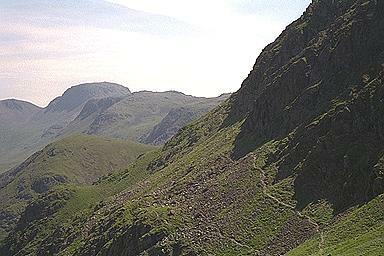 On the horizon is Green Gable, Great Gable and Kirk Fell. Looking Stead is in the middle distance, on the left. This picture is also available as a 768 x 512 pixel, Larger version of this picture.